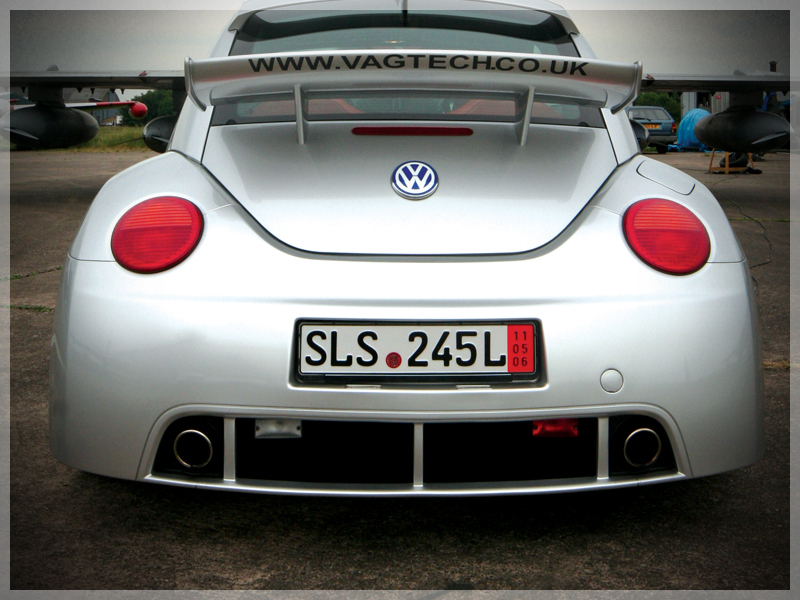 The Beetle RSi was a joint project between HPA Motorsports and VAGtech to build this amazing car for a UK customer. Jon Watts and the customer visited HPA Motorsports in January 2006. 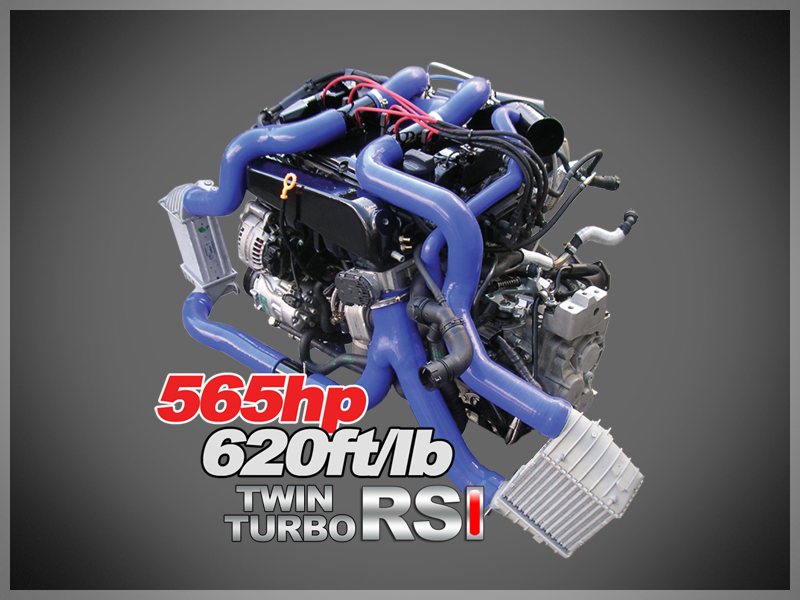 After a ride in the HPA twin turbo R32 the customer was hooked. On return to the UK the customer went about sourcing a genuine Beetle RSi. Only 250 where built and sold in Europe. A very fine clean example was found in a dealership in Germany. The customer was a big VW fan and has a very fine collection of iconic Volkswagens, so the customer knew what to look for. The car was delivered to Vagtech and we set about starting the conversion. The engine was removed and shipped to HPA in Canada for them to do the build. The remainder of the car was prepared at VAGtech. 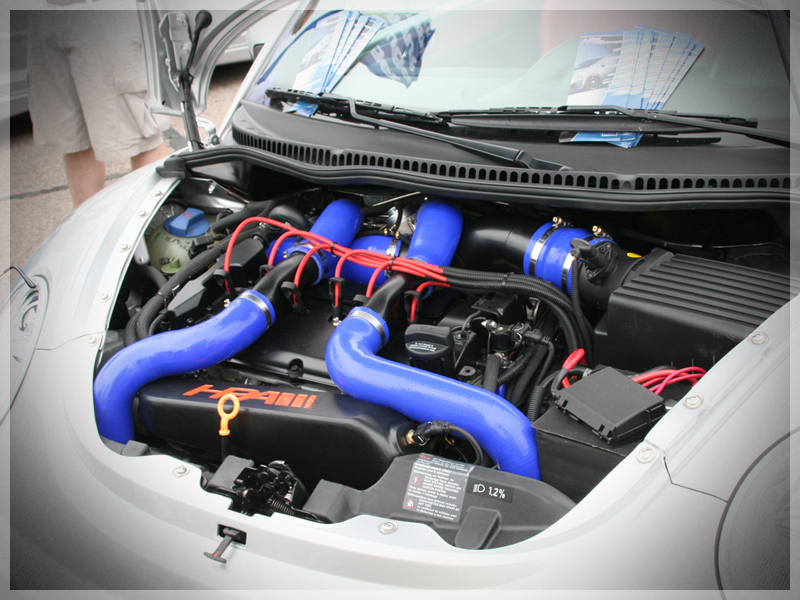 A special fuel system was installed running extra fuel lines to allow enough fuel to be delivered to a twin turbo V6 was vital. Customizing the radiator mounting to allow the extra plumbing from turbocharging was needed. KW club sport suspension and uprated ani-roll bars were fitted. HPA design brake system was installed, 8 pot front, 4 pot rear with separate handbrake caliper. A custom made exhaust system was fabricated in Germany and shipped over for installation. The end result is stunning performance in a car that is very unusual but has the attention to detail in the build like no other Volkswagen you will ever see. The beetle RSi has carbon fiber door cards, billet aluminum switches and that is just to start with. Most people really don’t appreciate the fine detail Volkswagen have gone to putting this car together. 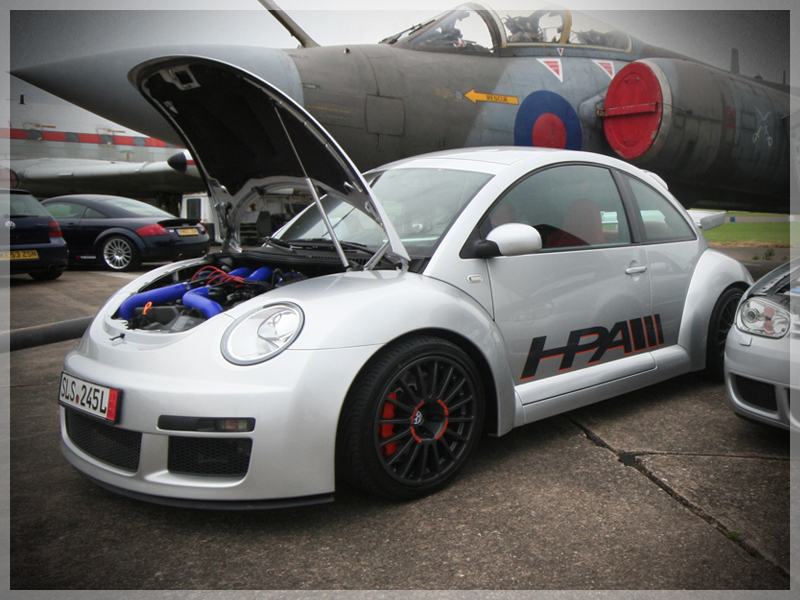 In 2006 there were only 2 real beetle RSi’s in the world to have been given the twin turbo transplant from HPA/HGP and one of them was built at VAGtech here in the UK.